ICED EARTH is the project of the talented guitar player and composer Jon Schaffer whose unique technique helped the band achieve a worldwide breakthrough. 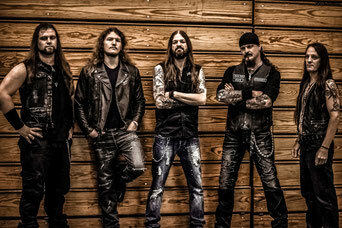 Since the 1980s ICED EARTH released 12 studio albums, the most recent record is "Incorruptible" . This record underlines the band's attitude: music is their lifeblood! Nowadays, ICED EARTH are touring around the world with a large wealth of experience. We are looking forward greeting them on RockFels 2018!